Shane Smith and Lindsay Grabiel. Ninad Ghorpade and Sarah Manley. Troy Mangrum and Deena Liming. Caleb Sinzinger and Kathryn Winer. Justin Skeens and Laura Hamler. Entry approving and settling account in estate of Jack Milton Corbin. Notice of death; amended fiduciary’s account and receipts and disbursements in estate of Minnie Elizabeth Albaugh. Entry setting hearing in estate of George W. Roloson. 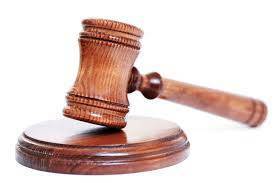 Judgment entry, order approving inventory and appraisal in estate of DJ McClenathan. Judgment entry, order approving inventory and appraisal in estate of George David Vernon. Judgment entry, order approving inventory and appraisal in estate of Carl Thomas Castle. Entry waiving appraisal of real estate; issuing certificate of transfer in estate of Charles E. Chaffin. Entry setting hearing in estate of Bruce W. MacCready. Entry setting hearing in estate of James W. Miller. Inventory and appraisal with real estate; waiver and consent to use auditor’s evaluation in estate of Lois Marie Robinson. Entry appointing fiduciary in estate of William E. Saum. Notice of probate of will in estate of Carol D. German. Judgment entry, report of distribution in estate of Robert L. Lawyer. Entry admitting will to probate; certificate of transfer (3) in estate of Edith Tantarelli. Entry setting hearing and ordering notice in estate of Ilena Mae Sturgeon. Certificate of death filed; motion to dispense with appraisal; entry granting summary release from administration in estate of Jordan Edward Scheidt. Certificate of death filed; motion to waive bond; fiduciary’s acceptance; citation to surviving spouse to exercise elective rights in estate of Bernard L. Bell.